To investigate whether yam improves glucose metabolism, yam-containing diets were given to Wistar rats. In a short-term experiment, fasted-rats were given 1.0 g of a control and 20% yam-containing diets. At 60 min after start of the feeding, glucose level in the yam diet group was lower or tended to be lower than that in the control diet. Insulin levels at 30 min and 60 min were significantly lower than those in the control group. 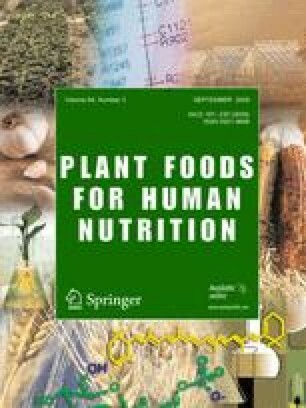 In a long-term experiment, a normal diet (N) or 25% high fat diets with (Y) or without 15% yam powder (HF) were given to rats for 4 weeks. At 4 weeks, in an oral glucose tolerance test, the area under the curve (AUC) of plasma glucose level was higher in the HF group than that in the N group, whereas those in the Y groups did not differ from that in the N group. Glycosylated hemoglobin levels had similar tendency to the AUCs. Plasma leptin levels in the Y groups were significantly higher than that in the N group. In conclusion, yam may contribute to improvement of glucose metabolism. Additionally, we speculated that leptin level is possibly involved in the insulin-response to yam diets. This work was supported by a grant from Cooperation for Innovative Technology and Advanced Research in Evolutional Area (City Area Program). The authors thank Minako Saito with her skillful assistance.